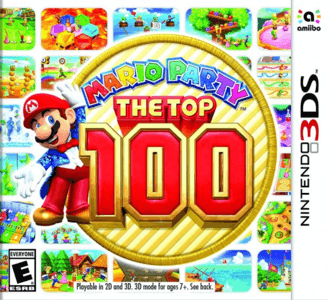 Mario Party: The Top 100 is a party video game developed by Nd Cube and published by Nintendo. It is a compilation of the 100 best minigames throughout the Mario Party series. Mario Party: The Top 100 has very few minor graphical issues. The game can run full speed in the main menu and most minigames but may require decent hardware. Some minigames require the microphone which isn’t implemented yet, but can be simulated with button inputs as well.